It’s an essential in my own makeup bag! I use this fake tanning dry oil when I want an extra bit of colour and a lovely shimmery finish – it contains tiny golden particles that give you a fabulous sheen and, even better, it doesn’t smell of fake tan! Use a gloves or a mitt and gently blend into dry skin, then wait til it’s dry before getting dressed – and wait at least 4 hours before getting wet! This entry was posted in Beauty Products and tagged BBloggers, beauty, beauty products, Cosmetics, dry oil, fake tan, katrina stamp, Katrina Stamp Makeup Artist, Makeup, makeup artist, St Tropez, Stamp of Approval, tanning dry oil. I just tried it – it’s great and it’s only £3.49 from Miners. And as well as making an impact with longer, fuller, Maxi eye lashes, you’ll also make a bold statement with the bright pink packaging too! 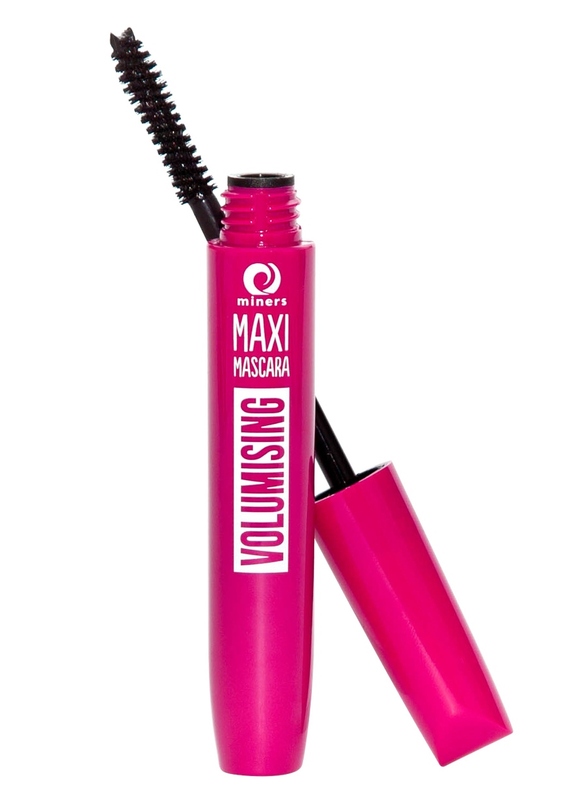 They also do a Waterproof Maxi Mascara too for the same price – just look out for the bright blue one. 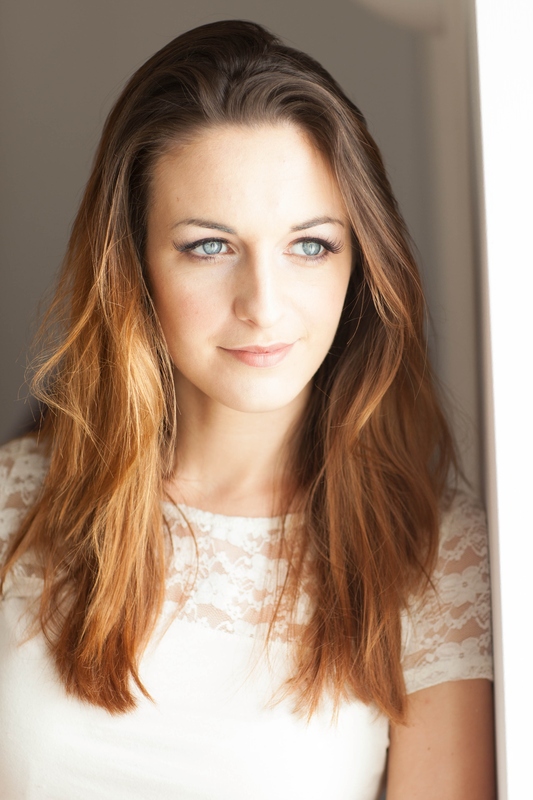 And here’s a product I love from Miners – their Luxe Lips Crème Gloss. These are fabulous! The colours are superb and these are only £3.99 each. Try It Girl, Duchess, Material Girl, Beauty Queen and Uptown Girl. I’ve used these alone and on top of lipstick to create a bolder colour on a range of photo shoots because the pigment is so good and the gloss stays put. These definitely get the ‘Stamp of Approval’ from me! This entry was posted in Beauty Products and tagged Airbase Make-Up, BBloggers, beauty, beauty products, Cosmetic, Cosmetics, katrina stamp, Katrina Stamp Makeup Artist, Lipgloss, lips, Luxe Lips, Mascara, Maxi Mascara, Miners Cosmetics. 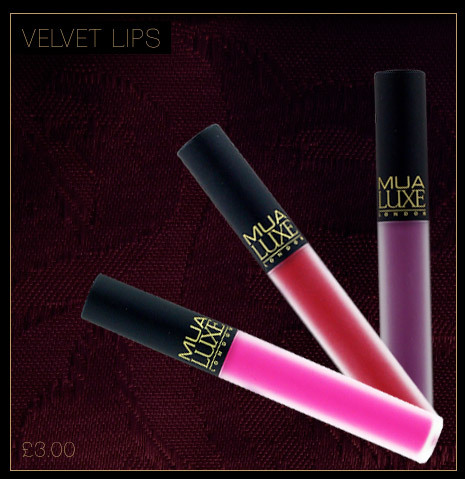 I’ve just tried out the 4 new colours for MUA Luxe Velvet Lip Lacquer…. These really are LONG – lasting and kiss proof. There are 9 highly pigmented, velvety smooth colours in the range which you can buy exclusively from Superdrug or online at MUA Academy and they’re only £3 each! They really do stay put, with a bold matte finish. Perfect for that velvet kiss and selfie pout! This entry was posted in Beauty Products and tagged BBloggers, beauty, beauty products, Cosmetic, Cosmetics, katrina stamp, Katrina Stamp Makeup Artist, lip gloss, Lip Lacquer, lips, lipstick, Luxe, Makeup, Makeup Academy, makeup artist, matte lipstick, MUA Luxe, MUA Store, Stamp of Approval. 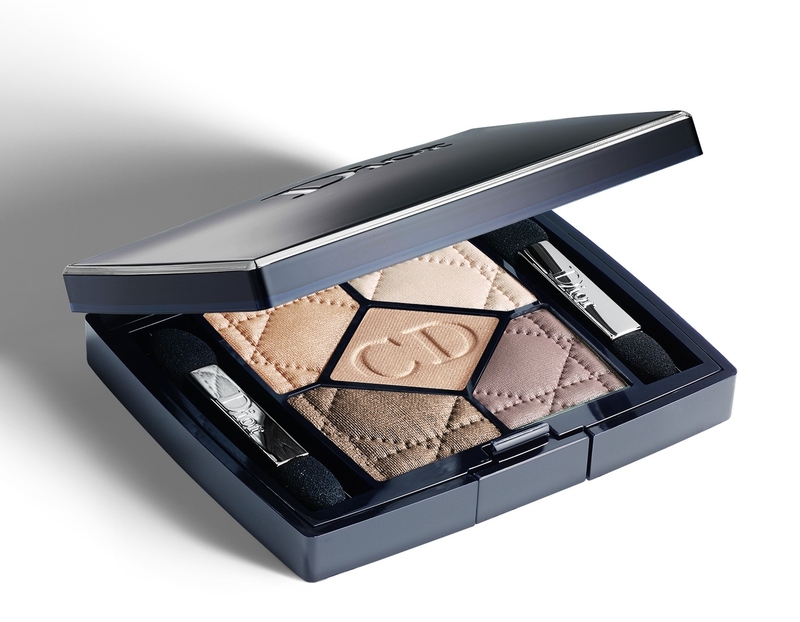 But don’t get me wrong, much as I love this I still bring out my colours, shimmers and glitters for my eyes at night!! This entry was posted in Beauty Products and tagged BBloggers, beauty, beauty products, Christian Dior, Cosmetics, Dior, eye shadow, eyes, eyeshadow, katrina stamp, Makeup, makeup artist. 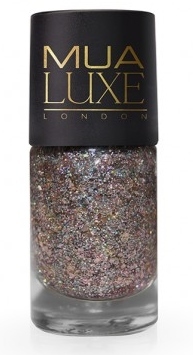 MUA Luxe from Makeup Academy has a brand new collection of Glitter Nail Polish to dazzle and sparkle your way through summer days and into those party nights. There are six fabulous colours and all of them contain different sized pieces and colours of glitter that make a fabulous sparkly impact in your nails. On their own they’re amazing, but try painting them over the top of your favourite shade to make them really WOW! Pixie, Nixie & Odile have glitters with emerald and turquoise in them – they’re perfect for summer and look stunning with summer brights on the beach. I love the bright strong green glitter diamonds and triangles in Pixie! So get sparkling and shimmering with your manicures and pedicures girls, these are just superb! This entry was posted in Beauty Products and tagged BBloggers, beauty, Cosmetics, fb beauty, glitter, katrina stamp, Katrina Stamp Makeup Artist, Makeup Academy, makeup artist, manicure, MUA Luxe, Muastore, nail polish, pedicure. Did you see my latest feature in Meade Magazine? 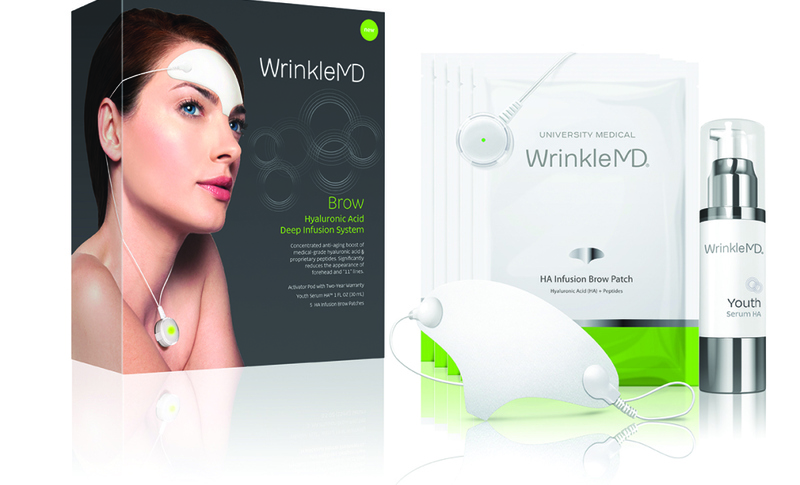 This entry was posted in Beauty Products and tagged BBloggers, beauty, beauty products, Hyaluronic Acid, katrina stamp, Katrina Stamp Makeup Artist, Meade Magazine, Stamp of Approval, WrinkleMD.